A 17-year-old student is in critical condition after he was shot on the first day of school today in a Baltimore suburb and a quick thinking teacher subdued the teenage gunman. 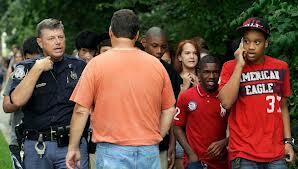 The alleged shooter was another student who was 15, Baltimore County Police Chief Jim Johnson said. The suspect was arrested, Johnson said. 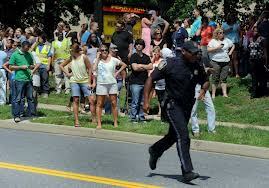 The school, Perry Hall High School, was evacuated. The 15-year-old student, whose name was not released, walked into the school cafeteria at 10:45 a.m. and fired one shot, the chief said. A student described the weapon to ABC News affiliate WMAR as a shotgun. Police haven’t confirmed the type of weapon used. 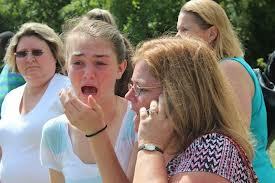 A teacher grabbed the boy with the gun and wrestled him against a wall, holding the gun away from the shooter. A second staffer, a school resource officer, was outside the cafeteria and rushed in to help the teacher subdue the suspect until cops arrived, police said. “One student has been shot and is being taken to the hospital by medevac,” the Baltimore County Police Department said in a statement. The school is located in White Marsh, Md., northeast of Baltimore. Students were evacuated to the Perry Hall Shopping Center where frantic parents went to be reunited with their children there, according to police. Students are also being bused home from the middle school across the street, ABC News affiliate WMAR reported. Posted in Breaking News, HYPE-ALERT, NEWSTagged Baltimore shooting, Baltimore surburb shooting, Breaking news, News, Perry Hall High School, Student Critically Wounded on First Day of School, student shotBookmark the permalink.